Making cosmetics is fun. 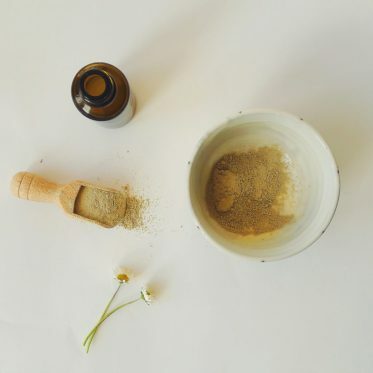 Creating your own homemade skincare is a creative process full of testing, trying, and discovering amazing ingredients that possess beneficial properties for the skin. But! It’s not all roses and butterflies! There’s one very important chapter in DIY skincare that many many people simply ignore. 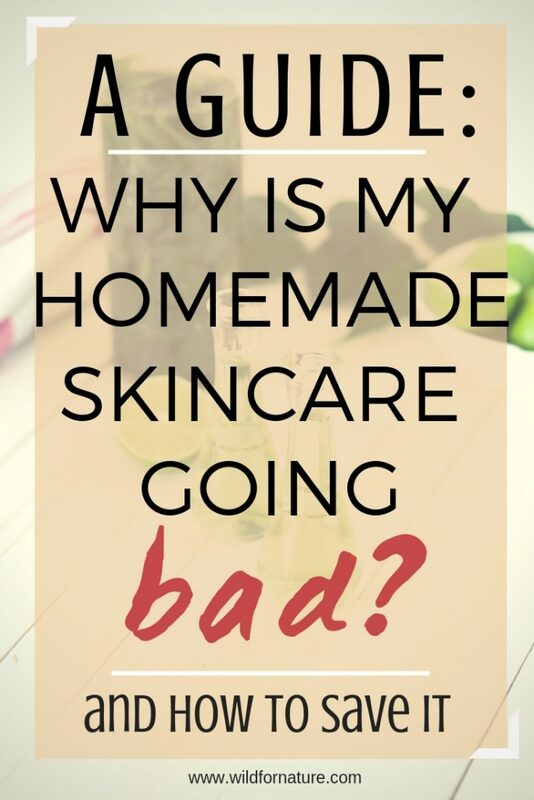 But we’re not going to do that because I want you to improve the overall quality and safety of skin care product you make at home. 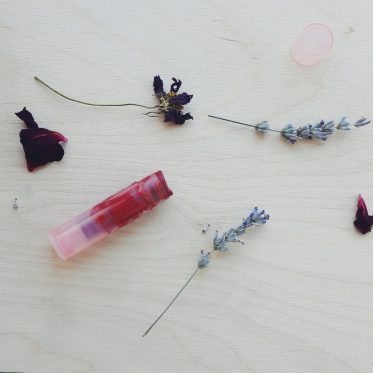 Let’s talk about preservatives in cosmetics! Do we really need them? Read on to find out more! What is the safest preservative for cosmetics? 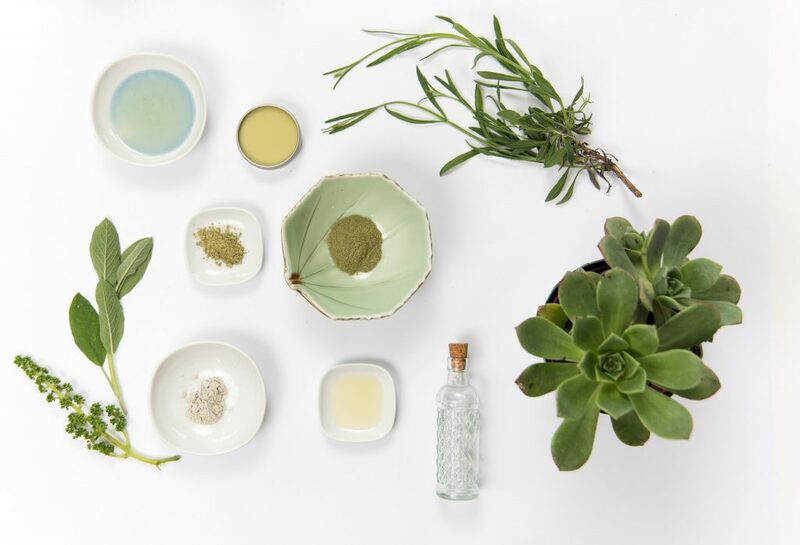 What is the best natural preservative for cosmetics? Where to buy preservatives for cosmetics? Is coconut oil a natural preservative? Is vitamin E natural preservative? Is glycerin a natural preservative? Is apple cider vinegar a preservative? 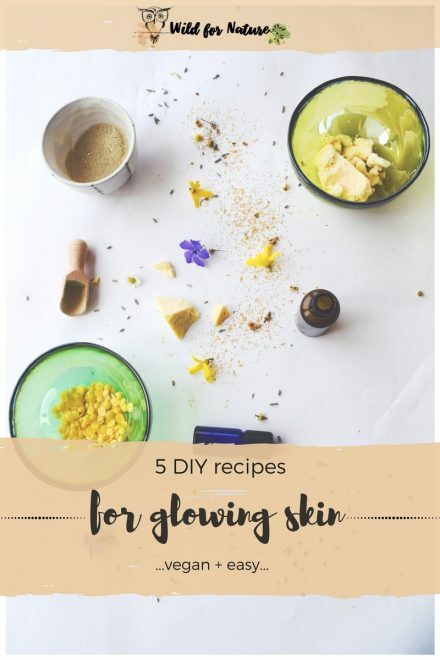 The preservatives protect the product you make from these creatures, they prolong the shelf life (otherwise your facial toner has a very short life span), and make your homemade product safe to use. You might say but Kat, I have an excellent sense of smell. I’ll know when my toner goes sour. Well, you don’t. Okay, in some cases you may (I tried an ACV spray deodorant a while back. I smelled like a well-dressed salad and that spray defined the idea of rancid perfectly within a few days). But this is more of an exception than the actual rule. For some reason, there’s a whole anti-preservative vibe in the online community among many many skincare DIYers. I even found bloggers advising their readers against using preservatives because they supposedly have a bad reputation. Now, I’m not an expert but those who are either experts or more experienced formulators, all say the same thing: preservatives are a crucial ingredient in homemade skincare. I haven’t used any preservatives when I first started out, but then not many do. It’s a learning process that takes time. You can read an article from Formula Botanica; they’ll give you 5 reasons why your products need preservatives. Okay, before heading on; are preservatives bad? No. I mean, some of them are, yes. But we’ll talk about all that in a minute. In general, preservatives are necessary means to safe homemade products. What’s more, there are a few preservatives that are allowed in natural skincare. There’s are a few organizations that control and approve materials for natural and organic certification of the products. EcoCert is one of these, Cosmos (Cosmetic Organic Standard) is another. If you’re not sure what to use, check with these guys for the most reliable information. Before you start exploring the long lists of preservatives you need right now, let’s have a look at which products need a preservative. The thing is, you don’t need a preservative for every single product you make. That means you can still avoid using a preservative if you’re only making only a few types of skin care products. These are products that contain no water. Some of these are scrubs, body oils, body butters, facial serums, hair conditioners…in short, everything that doesn’t contain a drop of water (such as distilled water and hydrosols as well). If you’re making scrubs regularly you might want to consider the use of a preservative, to protect them when they come into contact with water in the shower. But! You can elegantly avoid the use of preservative by scooping out the desired amount of scrub you’ll need with a clean dry spoon before heading into the shower. Store the jar with the scrub away from humidity and water and you don’t have to use the preservative. As soon as you include a drop of water, hydrosol, or aloe vera juice into your DIY skincare, you need a preservative. All products that contain water, such as lotions, body wash, face wash, light moisturizers (that are water-based), toners, mists, sprays, and many others require to be properly preserved. If you want to know how a recipe with preservatives looks like, let me tell you, it’s easy, simple, and basic. Have a look at this Depuffing Rose Toner recipe and DIY Micellar Water. Before we go any further, there’s a list of natural preservatives that’s been circling around the internet. Many claim these are the only natural preservatives in cosmetics you can or need to use. Like it or not, the fact is that these are NOT preservatives and surely can’t do anything in terms of preventing the growth of bacteria and other creatures in your products. 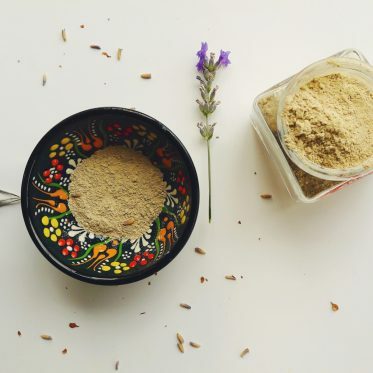 These are excellent additions to DIY skincare but don’t have any protective properties! Let’s have a look at what preservatives are used in cosmetic products. Since the whole list is quite long, I’ve gathered a few most searched for, most popular or most common preservatives. This is a broad spectrum preservative that contains four components, all found in nature. It is a paraben free preservative and also free of formaldehyde and isothiazolone. Preservative ECO is a water-soluble preservative and it works best when combined with glycerine first. It’s a clear liquid preservative, you add it to the cool down phase of your DIY process. It’s most effective in pH below 5.5, but it can be used between 3-8. Since it’s a broad spectrum, it can be used in a number of skincare formulations. It has a slight almond-like smell that is normally not detectable in the finished product. Over time, benzyl alcohol oxidizes to benzaldehyde, which has a strong almond smell. But, you can try to mask that smell with essential oils. Also, adding it to cool (not hot or warm) formulations helps to tone down the smell. What’s more, it can’t be used in products meant for children and babies since it contains salicylic acid. Another broad-spectrum preservative, Cosgard is a blend of alcohol and organic acid. It’s accepted to use in natural cosmetics. It’s free of parabens, formaldehyde, and isothiazolone. Cosgard is a liquid water-soluble preservative that works well in ph range from 2-6, but it’s most effective below 5.5. This is my current favorite preservative. It works well and it does the job of protecting my product great. It’s compatible with almost all raw materials. From my experience it doesn’t seem compatible with all raw ingredients; I’ve had some problems with HEC (hydroxyethylcellulose); I’ll tell you more about that in another post. Usage and phase: The recommended amount is 0.2 to 1%. I normally add it to cool down phase (although it works well at any temperature below 100°F/40°C), and I use between 0.6-1%, depending on the formulation. A preservative of vegetal origin, this is a broad-spectrum preservative that’s actually a naturally derived fragrance mixture. For more information, check this link. PlantaservQ is a clear liquid that works well between 4 – 9 pH range, but it’s most effective below pH 5. It has a vanilla-like scent and some love it and others don’t. I haven’t tried it myself because of the two reasons listed below. It’s broad-spectrum with acceptable scent. It’s quite expensive and it’s not the best for toners and mists since it’s not completely water soluble. What is Leucidal liquid SF? This is a water-soluble preservative, that’s naturally derived and it works as a broad-spectrum preservative in antibacterial activity. It’s not very common in DIY skincare yet, but I figured it’s a must on this cosmetic preservatives list. In any case, this preservative is free of any parabens, formaldehyde, and phenoxyethanol. It’s a probiotic-based preservative created by fermentation of Lactobacillus. And because it’s so natural, the opinions about this preservative are massively divided online. I can’t say which of these are reliable since I haven’t tried this preservative myself. But, Lotioncrafter says that Leucidal has the potential to provide effective protection to skin care formulations. MakingSkincare claim this preservative offers poor protection against positive/negative bacteria and no protection against mold. The same goes for bloggers and skincare DIYers; some found it very useful, others had mold developing in their products. Feel free to share your experience with it below! In any case, it works best between 3 to 8 pH, but most effectively below pH 6. This is a natural alternative to synthetic preservatives. Apart from the fact that it supposedly isn’t effective enough, have a look at the Leucidal Liquid SF Safety Data Sheet for any potential side-effects. Usage and phase: suggested use levels are between 2% and 4%. It’s water-soluble and best used in formulations with temperatures below 158oF/70oC. Germaben II is a synthetic water-soluble, broad-spectrum preservative that isn’t Ecocert nor COSMOS approved, but I’ve added it to the list because it’s quite popular. Germaben is a clear viscous liquid preservative, mostly effective between pH 3 to 7.5, make sure to add it to the formulation before adding fragrance. This preservative is very effective and it’s easy to add to your recipes. It works well in products with less than 25% oil phase. It’s also heat sensitive, so measure the temperature of the formulation before adding it. Phenoxyethanol is a common synthetic preservative used in a combination with many other ingredients and variations. It can be also found in Optiphen, Optiphen plus, Euxyl® PE 9010, and Phenonip. Phenoxyethanol is one of those notorious but extremely effective preservatives that can be used at a low application dosage. It is even tolerated in some natural/organic certification schemes but is taboo in most of them. This preservative is stable below 85°C /185°F and it’s effective between pH 3 to 10. It’s also soluble in most oils and water. Most active against gram-negative bacteria, this preservative is both oil and water soluble. It’s very versatile and compatible with other preservatives. Not broad-spectrum preservative; it has to be used in combination with other preservatives. If you’re looking for a more extensive list, have a look at this one on Making Skincare. That’s nowadays a matter of personal opinion (but it probably shouldn’t be). Some claim adding vitamin E and rosemary extract preserve your products in a completely natural way when they really don’t. In any case, the safest preservative is the one that’s most effective in your product and the one that doesn’t cause any serious skin irritation and other side effects. Still, preservatives are supposed to protect the products from bacteria, yeast, and mold. When making cosmetics at home, we already need to pay attention to many other things (clean equipment, counter, and properly stored ingredients), so why making skincare sloppily? After all, if food goes rancid, you won’t eat it. Why would you slather something on your face that’s growing mold? There is no such thing as a natural preservative. Rosemary extract, grapeseed seed extract, citric acid, vitamin E oil, aloe vera, and essential oils are not preservatives. I haven’t made solid soap bars yet, so I’m not 100% sure, but from the research I’ve done, you don’t need any preservatives. You can add a few antioxidants in there, but that’s about it. If any of you are devoted soapmakers, let us know in the comments below whether this is true or false! As covered until now, all water-based products need a preservative. I started out with Cosgard (and a few failures before that) and I’ve been happily using it so far. If you don’t want this preservative, feel free to choose others from the list or try any other that would suit your needs best. 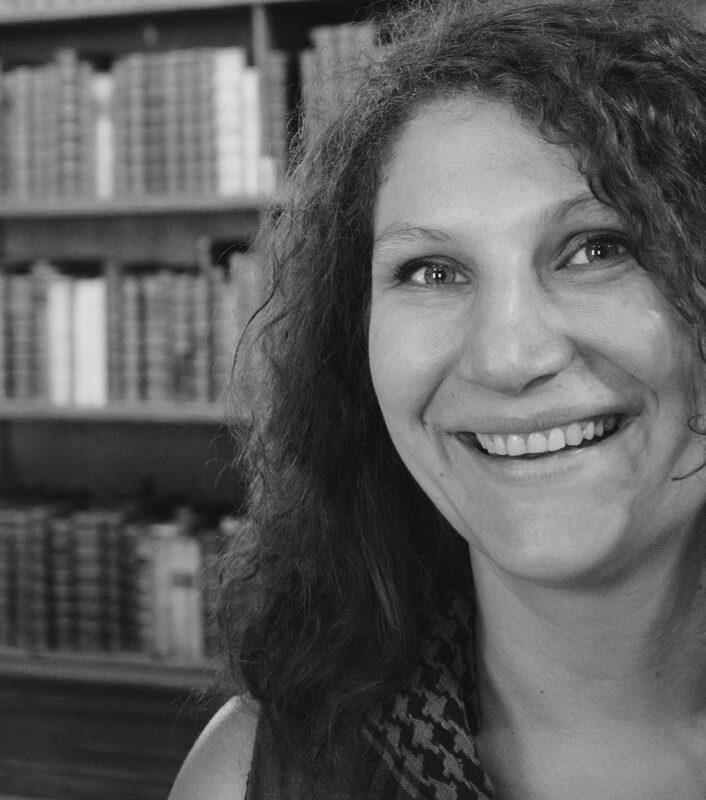 After all, testing and trying is a large part of DIY beauty and it’s also what makes it fun! If you plan to use a face mask right away, you don’t need a preservative. Stick the ingredients into a clean container, mix them up, stir them, slather that lovely smelling blob of dirt (I mean clay) on your face and that’s it. If making a large batch, combine dry ingredients and store them. Take out only a teaspoon (or the amount needed for one face mask) and store the rest. Mix that teaspoon with liquid (water, hydrosol) and you can keep the original face mask powder preservative free and dry. You can add a preservative to face masks you’re giving away, but I’d recommend the upper method in any case. Give them a lovely jar of powder with a small bottle of hydrosol. Print out the directions of how to use and it makes a lovely gift! Use as little as possible and as much as necessary. In other words, preservatives come with instructions and these instructions normally should contain information on how much preservative to use. Stick to the guidelines and recommended amounts and it should work well. Also, pay attention to what phase of your product do you add the preservative to. If it’s heat-sensitive, wait until the last phase, don’t add it to hot liquids! Let’s have a look at a few quick questions that always pop up when we wonder What can I use as a natural preservative? This means you can only add the preservative into your water base; the preservative can’t be added to oils (well, it can but it won’t solubilize in oil). This means you can only add the preservative into your oil base; the preservative can’t be added to water. No, coconut oil isn’t a natural preservative in homemade skincare. It’s oil. If used in oil-based products with other oils, that product doesn’t need a preservative because normally products that don’t contain any water, don’t really need a preservative. Coconut oil can’t do much (if anything) when it comes to protecting the product from mold and yeast. Vitamin E oil helps prolong the shelf life of DIY serums, body, oils, butters, lip balms, etc. Vitamin E oil isn’t a preservative that could be used in water-based recipes. It’s oil soluble, not water soluble. And it’s a vitamin, an antioxidant with great properties for the skin but without any protective properties from bacteria, yeast, and mold. If you’ve used glycerine before, you know the sticky feeling it leaves when used in higher amounts. That makes glycerine completely inappropriate as a preservative. For further information, I found that using it in 60-70% would be the best and most recommended amount. But then…60%!? Apple cider vinegar might work well as a food preservative but I don’t know much about that. I remember making a spray deodorant with apple cider vinegar once. I measured it, mixed it with distilled water, and added essential oils to it. The result: I ended up smelling horrible. And it wasn’t just me, my shirts, and my armpits; the spray turned rancid within the next couple of days. It changed the smell and color. And when products do that, it’s normally a bad thing. Vinegar may work great for pickles and face masks but not as a preservative in DIY skincare. Contrary to popular belief, essential oils are also not preservatives (neither is tea tree oil). Yes, they work well in skincare products, especially when diluted in a carrier oil or when they boost the scent of homemade body butter. Some essential oils may help slow down the rancidity of the product, improve it with their beneficial properties, but they cannot prevent the growth of mold, yeast, and bacteria in your water-based products. Plant Therapy produces them and still encourage you to use real preservatives in water-based products. No, it is not. It doesn’t have any microbial properties that could prevent the growth of unwanted guests in your products. If you want safety and protect your formulations, using an actual real preservative is a must. 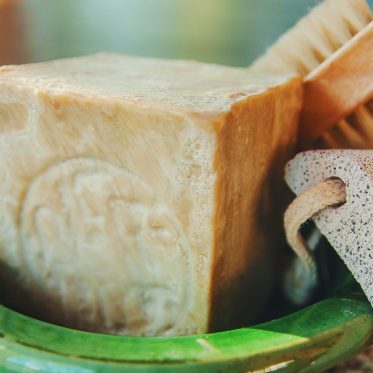 When it comes to the subject of preservatives in homemade skincare, the opinions are still very divided. There are those who fully support their use and those who severely oppose it. Then there is everyone else in between: beginners, amateurs, DIY skincare aficionados. 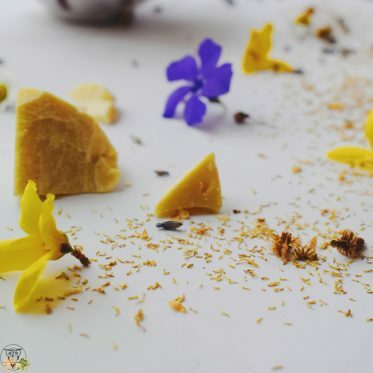 While we all begin with the homemade skincare hobby from different reasons, I’m sure we all have one priority: to use ingredients we want and know and to make the products safe for us and our families and friends. In order to do that, there are certain raw ingredients that we just cannot avoid: preservatives. Even if you’re completely skeptical, you can choose from those that are approved in organic products and natural skincare. Certain certifications can tell you that these are safe to use! Why would you risk making dangerous products when you can make them safe. What’s your take on preservatives in cosmetics? Let me know in the comments below!